Location: The town of Zlatitsa is situated in Zlatitsa valley 77 km east of Sofia and 4 km west of Pirdop. The impressive peaks of Central Balkan Mountain range are rising above the town making the region excellent tourist desination. History: Most probably the name of Zlatitsa derives from the Bulgarian word “zlato”, which means “gold”, and it has been associated with the extraction of gold in the region since Antiquity. The settlement was founded to accommodate the soldiers who had guarded the ancient ore-mining galleries. First it was mentioned as Zlatisa in a medieval document of Tsar Constantine Assen (1257-1277). 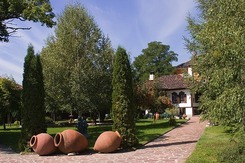 During the middle ages the town was known as one of the major centres of the Bulgarian state. A battle between the crusaders of Vladislav III Varnenchik and the Ottoman army took place near Zlatitsa in 1443. Later on, during the time of Ottoman slavery many people from Zlatitsa organized detachments to struggle against the Turkish authorities in the region. There are many folklore songs about Stoyan Bratoev Voivode, Detelin Voivode, Manoush Voivode and Rada Voivode. During the Revival period Zlatitsa was into a great economic boom. The main occupation of the population was stock breeding and the related crafts. The town was main mutton supplier of the Ottoman army and great producer and exporter of wool. This state of flourishing had a favourable effect on the spiritual and cultural life of the town. One of the symbols of the town, the Clock Tower was built in 1777. Later on, during 19-th century a monastery school had started operating in Zlatitsa. After the Liberation, Zlatitsa developed as stock-breeding and fruit-growing centre. Landmarks: The Clock Tower is the symbol of the town. It is almost 17 m high. 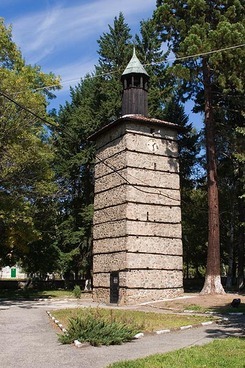 The tower was built specially for the clock and its toll could be heard 7-8 km away. There are many monuments and fountains in Zlatitsa, several houses, left from the revival period, church, built in 1859, and nunnery as well. 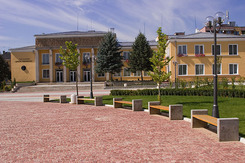 The history museum keeps many evidences from the life in the town through the ages. There are many opportunities for tourism in Zlatitsa. 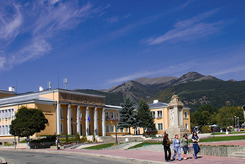 The town is a starting point of many tourist routes in the Central Balkan Mountain range. The biological wealth of the mountain is very important and interesting for the nature lovers. 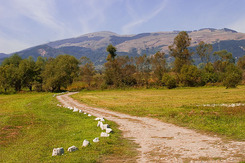 The region gives excellent conditions for hiking, cycling, hunting, fishing any other outdoor activities.